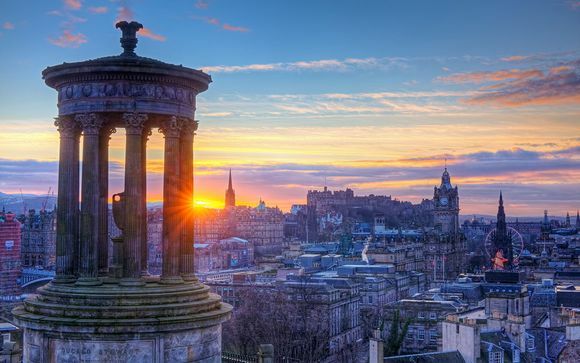 Holidays to Edinburgh up to -70% off To take advantage of these offers, join now for free! 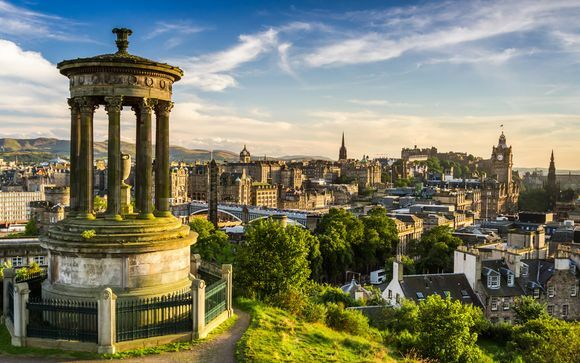 Simply begging to be explored, the Scottish capital of Edinburgh bursts with hidden history, idyllic scenery and quirky corners. No matter what type of traveller you are, Edinburgh has something for you. Everywhere you turn you'll find a piece of history in this ancient city. For many, a visit to Edinburgh means exploring the famous castle, looming high above the streets, the National Museum or Holyrood Palace. However, the cobble stoned Royal Mile and its surrounding nooks are alive with histories you may have never considered. Discover the Writer's Museum, the Toy Museum and Camera Obscura, Edinburgh's oldest attraction which has entertained tourists and locals alike since 1835. You'll never see the city the same way again! 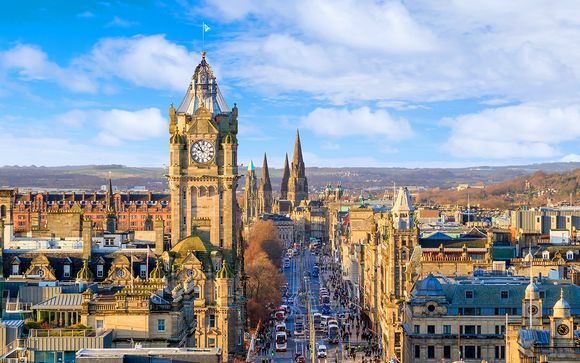 Edinburgh is a gothic city with a gothic past and therefore unsurprisingly the inspiration for many famous novels and stories, including Mary Shelley's 'Frankenstein'. The architecture is one of a kind and the atmosphere at night, when the silhouettes spike the darkening sky, is mesmerising. With many real life horror stories forming a great deal of Edinburgh's past, it's no wonder there is an abundance of horror walks, night time history tours and even ghost bus experiences. Don't be afraid - you'll be amazed at what you learn. 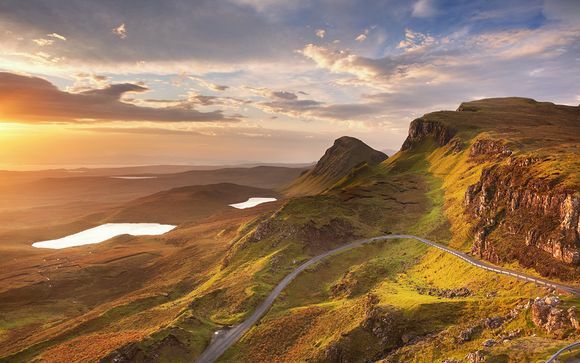 Edinburgh is famous its myriad of places to visit; from Arthur's Seat, an ancient volcano that offers views for miles, to Edinburgh Zoo, home of the only Giant Pandas in the UK. Many are surprised to find that Edinburgh also sits on a beautiful stretch of coast. Take in a breath of fresh, sea air and escape the city at one of the many beaches that are easily accessible from Edinburgh's centre. 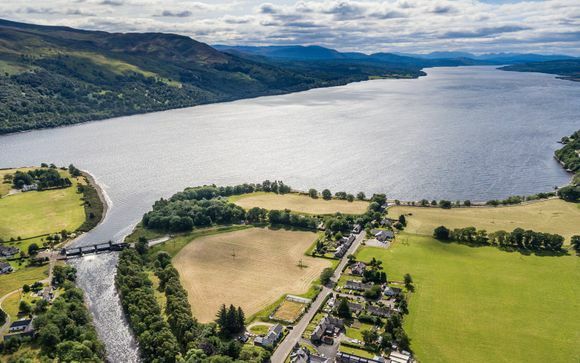 Enjoy traditional British fish and chips, seaside strolls and of course a cosy Scottish pub (no doubt serving a true taste of Scotland; haggis!). 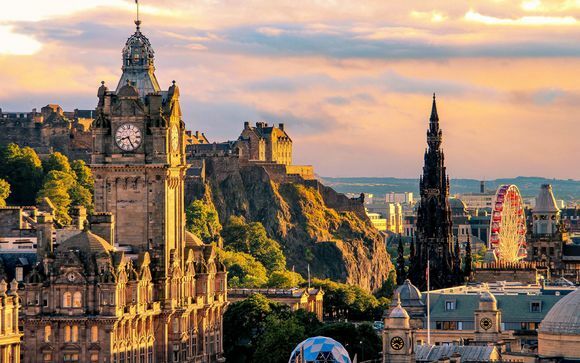 Despite its history, Edinburgh is still a buzzing capital city with fantastic shopping, a vibrant nightlife and captivating entertainment from theatre to cinema to the famous Fringe Festival. You won't be short of things to do; in fact, you may just find yourself wishing you could stay for longer. So, whether you're looking to explore, discover, relax or party, there's something for you in Edinburgh. Our exclusive offers mean that you can enjoy the holiday of a lifetime with amazing deals and discounts. Don't miss out on the chance to visit one of the UK's most unique and exciting cities.